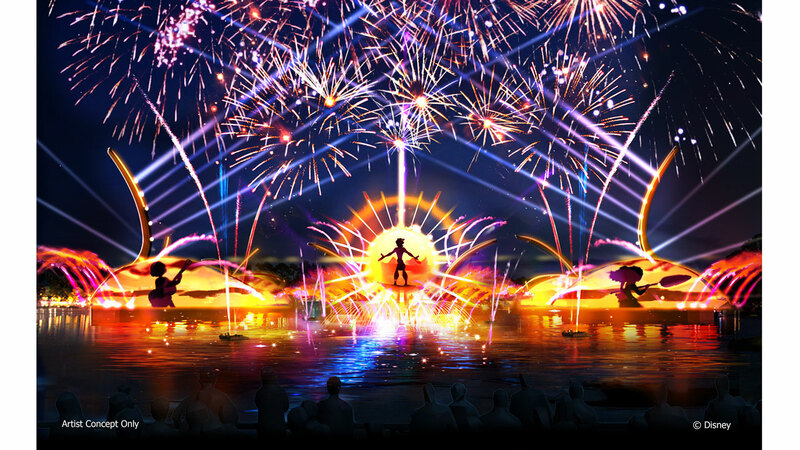 An interim nighttime show will be coming to Epcot next year. 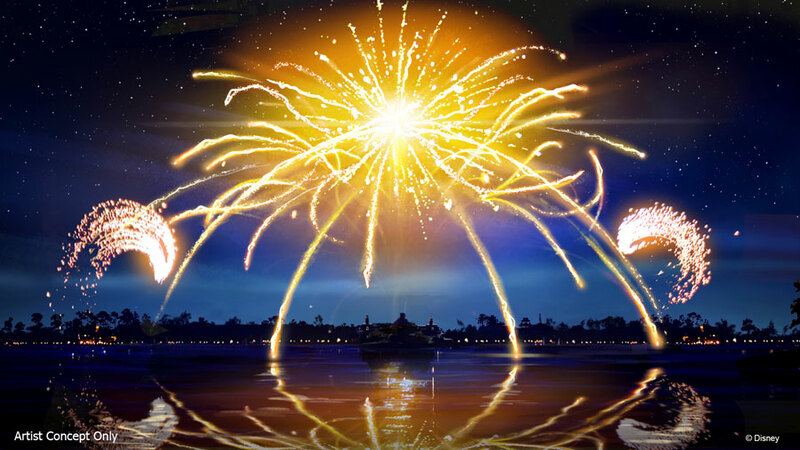 The new show will be titled “Epcot Forever” and it will run in between the closing of Illuminations in late Summer 2019 and the debut of the new long term show in 2020. Epcot Forever will include classic callbacks to Epcot Center music such as Tomorrow’s Child, Magic Journeys, and more! The unnamed long term nighttime show will feature massive floating set pieces, custom-built LED panels, choreographed moving fountains, lights, pyrotechnics and lasers. Here’s a look at some concept art for the long term show, including Disney IP.